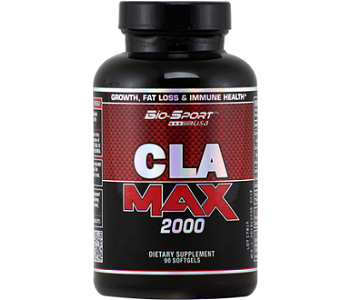 BioSport CLA Max is a dietary supplement that contains conjugated linoleic acid (CLA). Conjugated linoleic acid is a natural molecule that has been isolated from some animal and plant tissues and researched on its effects on human fat cells. It has been scientifically proven to have an effect on human fat cells and help weight loss. A number of manufacturers of natural products use this ingredient in their weight loss supplements, but not all of them are of the same quality. This review determines if indeed BioSport CLA Max is a quality CLA supplement. 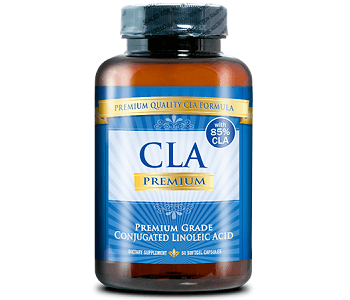 The only active ingredient in this supplement is conjugated linoleic acid. Conjugated linoleic acid is a naturally occurring fatty acid. In cell biology, fatty acids are incorporated into cell membranes and then undergo chemical reactions to change them into signaling molecules. Scientific researchers discovered that conjugated linoleic acid is converted into a signaling molecule that reduces fat uptake by immature fat cells. This reduces overall fat storage in the body. The signaling molecule also has some action in reducing the hormones that cause hunger. There are also some added health benefits of taking conjugated linoleic acid, by the fact that it plays other roles that fatty acids play in the body. For example, it helps to reduce cholesterol levels and maintain healthy tissues. One capsule of BioSport CLA Max can be taken twice a day each time with a meal. Each serving contains 2000 mg of safflower oil, which contains an adequate daily dose of conjugated linoleic acid. Some users might experience an upset stomach or diarrhea for a few days, but these symptoms are meant to go away. If the symptoms do not go away, then you should consult a doctor. Pregnant women and breastfeeding mothers should consult a physician before using this supplement. One bottle of BioSport CLA Max, which contains 90 capsules can be purchased online for the price of $19.99. Alternatively, customers can purchase 180 capsules in one package for the price of $29.99. These prices do not include shipping or taxes. There isn’t a satisfaction guarantee to protect this product but the manufacturer does have a returns policy. The returns policy states that only products for which 25% or less have been used, may be returned. We don’t find this to be a particularly helpful returns policy because it does not give the customer a chance to try the product sufficiently to see if it works for them. There are no customer reviews for this product on the manufacturer’s website and there are very few reviews on third party retailer websites. This product has some good features about it, like that it contains the right dosage of conjugated linoleic acid to be effective and it is offered at a decent price. There are some risks customers could run into when buying BioSport CLA Max though. The major one that customers face is that there’s no satisfaction guarantee that allows customers to try the product sufficiently, and there aren’t many reviews about this product, which suggests that it is not popular.